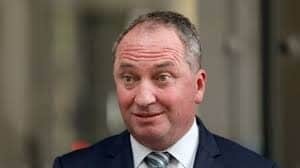 Saying the words Barnaby and right is not something I thought I would put in the same sentence. I know I am late to the party with my two cents on last Sunday night’s tell-all interview, but that’s because I’m not sure I have too much to say. After another run-in with the paparazzi and claims that this interview was to stop this so-called harassment, it encouraged me to look at what did go right with their tell-all talk. Their story might have not stropped interest, but Barnaby did make one interesting and very right point. Barnaby might not have delved too far into his marriage, but this line is the most significant I’ve heard come out of his mouth. No one has the perfect marriage yet everyone seems to be trying to get there. But maybe we have the goal wrong. Is it even perfection we should be striving for? 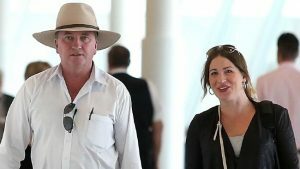 Barnaby Joyce and Vikki Campion stroll through Canberra airport en route to Sydney flight. The concept of perfection is difficult and seems to be a term that we can’t define. If you are competing in a diving comp, looking for a perfect score then perfection might be in sight. But is it perfection a professional athlete would even be after or just a win? Even when it comes to beauty, society is looking for the perfect smile, the perfect body and the perfect bum. But that is something that keeps changing. Where we once all wanted Brittany flat tum, we are now squatting for Kim’s bigger behind. So, is there such thing as the perfect relationship? Have you ever looked at a photo on social media of the so called perfect couple thinking if only your life and love was like theirs, everything would be ok? Well I can assure you that the so called perfect couple are probably looking at someone else thinking exactly the same. It’s the stress and pressure of perfection that is a factor that negatively impacts so many. Do you lash out at your partner because they are not doing what you think they should? Do you hold onto anger because you wonder why you are struggling when everyone else seems to be fine? We are all so scared of someone looking at us from the outside, doubting our union so we stay silent and if anything, promote was isn’t necessarily true. But where is that getting any of us? I’m not encouraging social media profiles full of complaints but consider not pushing perfection to save others from the pressure of feeling If only their relationship was perfect too. 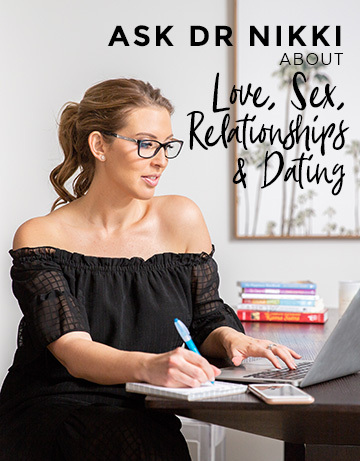 Whilst I still might not be a fan of Barnaby’s and I’m still not sure on my thoughts of their supposed tell all, there was one thing he was really honest about – that relationships are not the way we all project them to be.